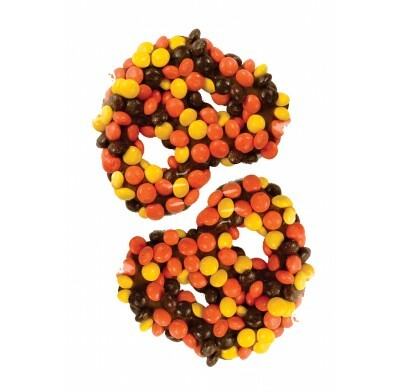 Milk Chocolate Mini Reese's Pieces Pretzels from Asher Chocolates, crunchy, sweet and salty pretzels covered with beloved mini Reese's Pieces. 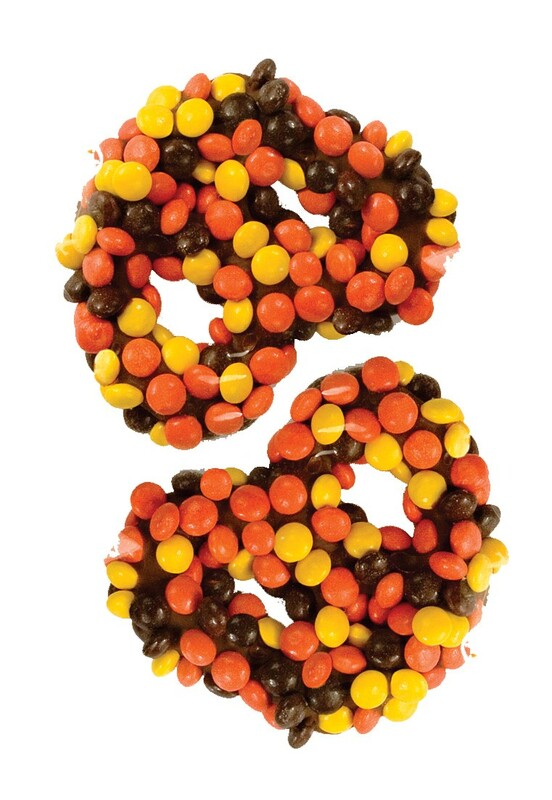 The perfect combination of candy tastes that makes the perfect snack. Pretzels are very fragile. Although we do our best to prevent broken pretzels, you can expect to have some damage due to UPS handling. We cannot be responsible for this damage. Each piece is 4 inches by 3 inches, and there are approximately 6 pieces per pound.